During the witching hour in my house, this book is a favourite in our noisy household, from toddler to seven-year-old alike. 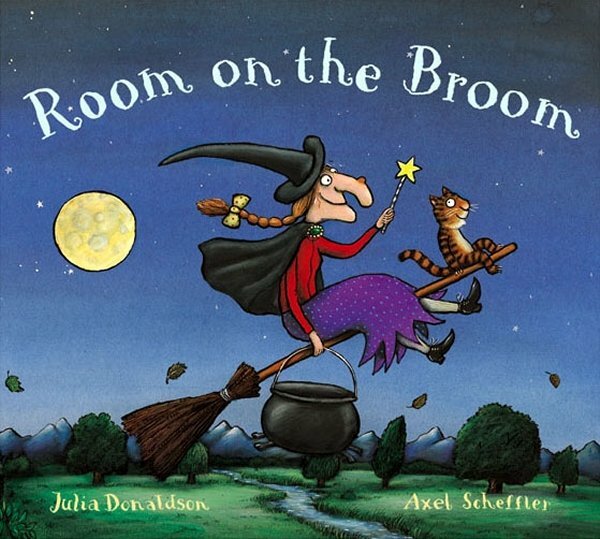 This book is magical journey with a delightful witch who loses lots of her accessories as she flies. With the help of various animals who help her retrieve them, she generously offers some room to every animal she encounters on her journey. Until of course, the broom snaps in two, unable to bear the weight of all its passengers. Following an encounter with a dastardly red dragon, the witch faces dreadful danger and needs her friends to help. But will they step up? The use of repetition ensures that it is easily picked up by children and allows for the use of shared reading with children. The delightful illustrations created by Scheffler depict the animals with vivid facial expressions sure to elicit giggles from even the smallest child. And the scatty but sweet witch fulfils historical stereotypes of being rather unattractive, but she is still appealing nonetheless. The message of friendship and sticking together amidst adversity are subtly depicted throughout the text and teach us that friendships can spring from the most unlikely of places. A lovely book that encourages participative reading, this book is a must read for beginning readers. This review is helpful as it is so descriptive and explains how the book can be read to a range of ages ( again and again and again!) 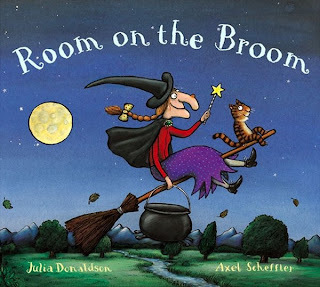 I would like to add a link to this post to the 100 Stories Before School Blog post on Room on the Broom I'm preparing of that's OK.